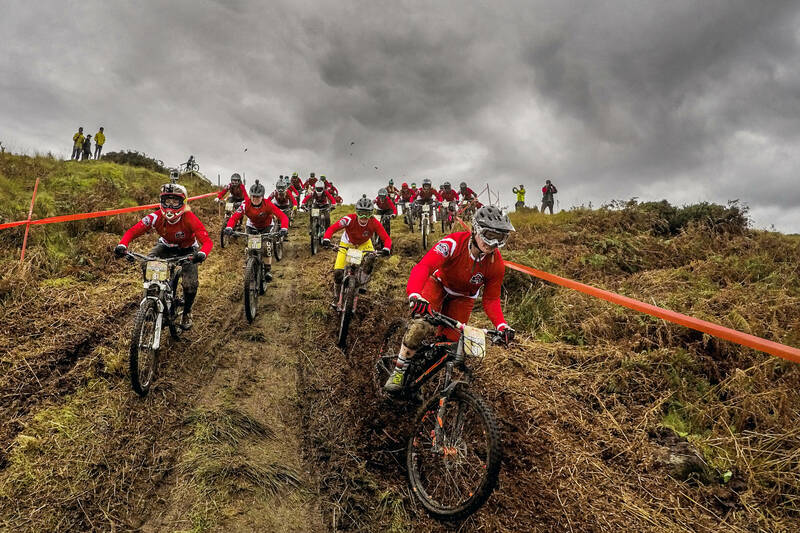 Riders tackle the world’s only all female downhill MTB event, Red Bull Foxhunt. 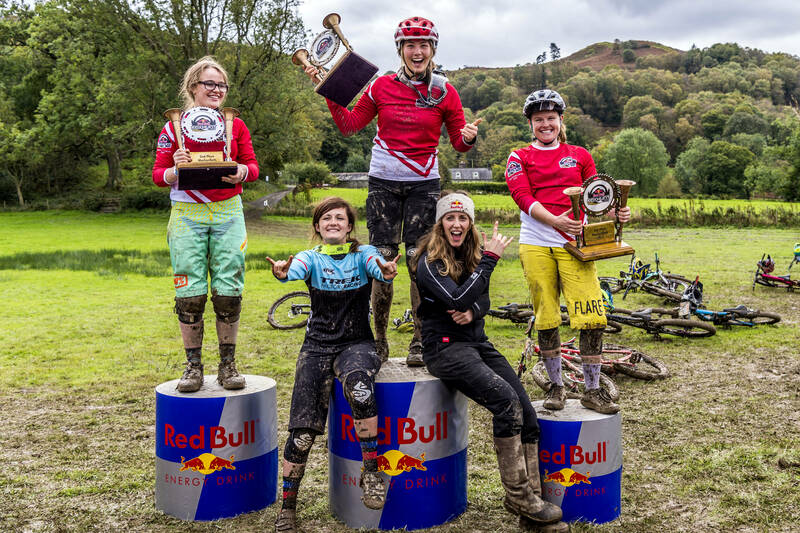 Rachel Atherton may have been missing from the chase but 200 mountain bike riders gathered in her home town of Machynlleth, Wales, for the annual all-female Red Bull Foxhunt. 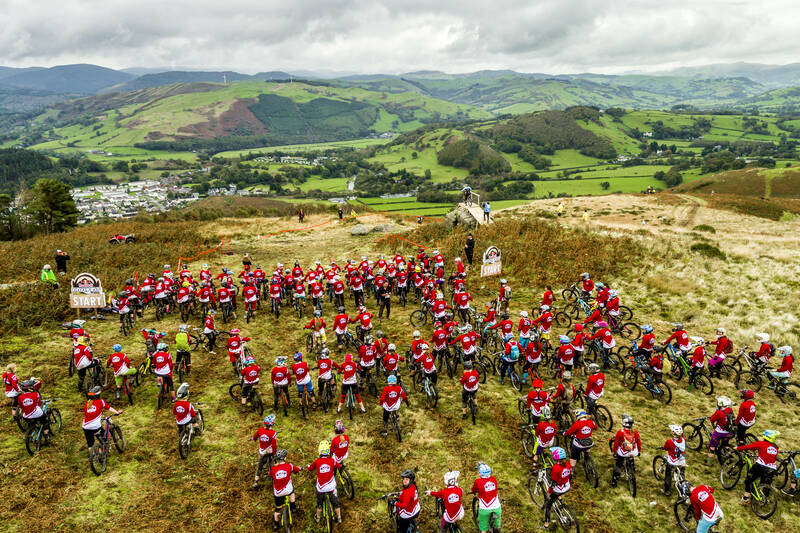 The premise of the event is that the double century of female riders set off on a downhill course en masse with Atherton setting off at a later point, trying to pass as many riders as she can before the finish. 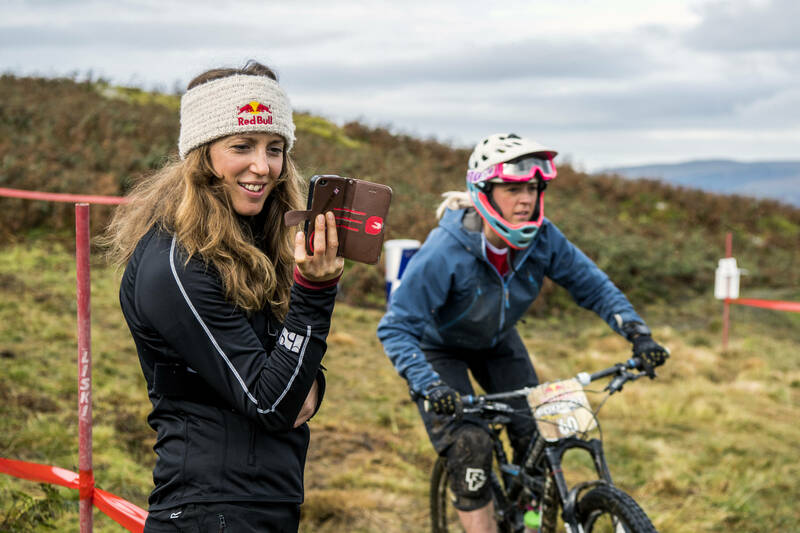 Following a nasty crash at the recent World Championships in Cairns, Australia, Atherton was resigned to being a spectator on the sidelines with her Trek Factory Racing Enduro teammate Katy Winton taking up the chase. 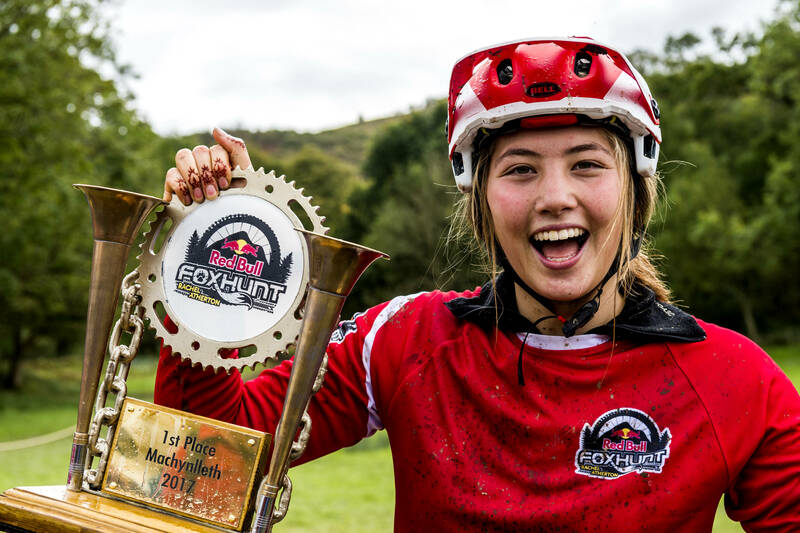 The 200 slots were snapped up in just 12 minutes, with Norwegian rider Mille Johnset, one of the few not to be caught by Winton, taking the win in three minutes and 50 seconds. Winton, meanwhile, relished the chance to step into Atherton’s saddle in what were tricky conditions on a technical course. 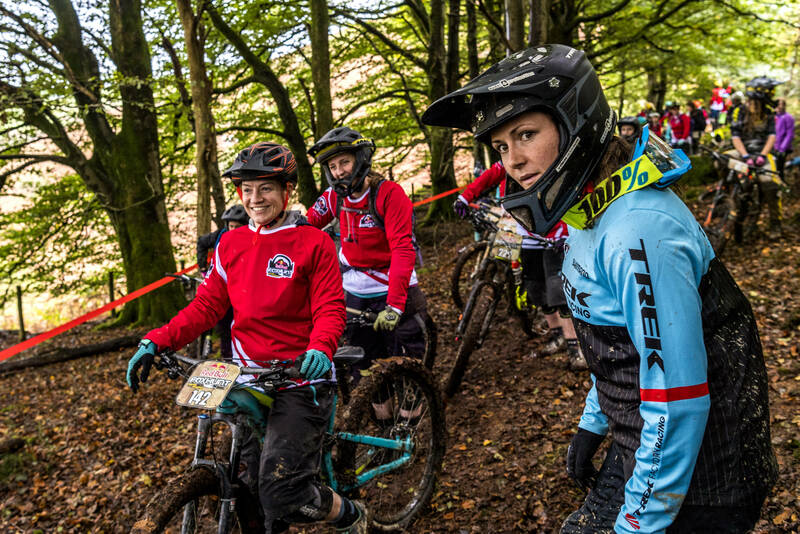 “It is such a honour to get to come to this event and ride with a bunch of rad ladies, who just went for it despite the weather,” said the Scot. Atherton, who was on hand to pass pointers onto the riders, all of which were decked out in red, said: “Everyone was so proud of themselves today. Seeing their faces and, you know, that’s what Foxhunt is about. 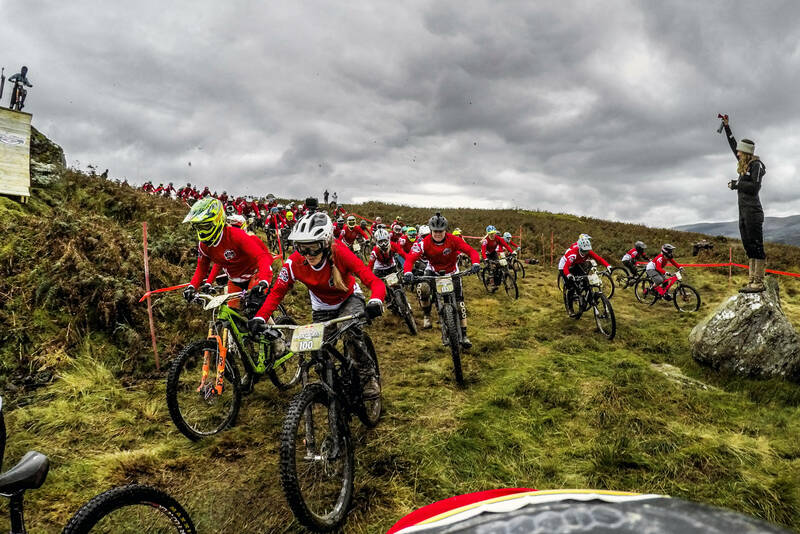 A sixth annual edition of Red Bull Foxhunt also took place in Northern Ireland with Gee Atherton chasing 400 riders at Rostrevor’s Mountain Bike Centre.